You Look Like You’re Made of Money is a completed novel written by 林绵绵 (Lin Mianmian) and consists of 116 chapters completed. This novel takes a unique spin on the transmigration genre with its ancient to modern rebirth. She gnashed her teeth as she faced the abuse from the Imperial concubines in the Imperial harem, forced to endure many calamities. After travelling through time, Su Yan thought that that ** little bi*ch was right: good people don’t live long and misfortune lasts for a thousand years. But no matter whichever era she was in, she would tightly grasp the thickest golden thigh and never let go. Looking at it now, it seems that her husband had the thickest thigh. Till now only modern people were transmigrating back but what happens when an Imperial Concubine transmigrates into modern time? What happens when modern and ancient values clash? Hilarity, action and seduction ensues. Chapter 2: In the Jiang family, Mr Jiang Jingchuan still had the final say. Chapter 3: She doesn’t hold just any thigh, first, she appraises his worth. 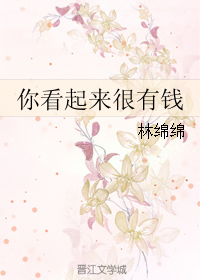 Chapter 4: Auntie Wang is extraordinarily gratified that Su Yan has truly opened her eyes.